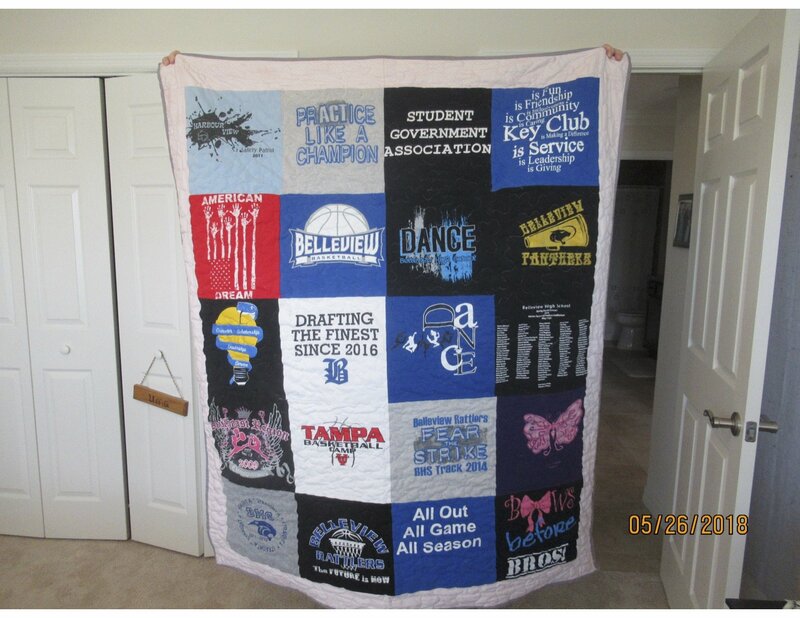 T-shirt quilts are made for any occasion, such as graduation, Christmas gift, birthday, or even a memorial to honor a loved one. Please allow at least 6-8 weeks, or more if you can, to have your quilt made and ready for you when you want it. T-shirts will be on the front and back of the quilt. Listed below are t-shirt quilt estimates. I charge $10.50 per sq ft. 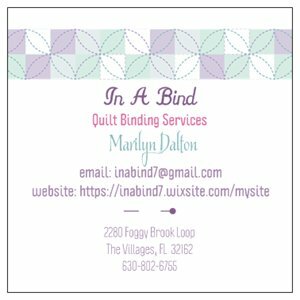 In addition to putting your T-shirts into a quilt, the price includes quilting by a person who does long arm quilting, If you want your quilt to be "tied off" and not quilted that will save you in the area of $50-$75. I will give any Law Enforcement Officer and Veterans, retired or active, a 10% discount. is looking for someone to make a quilt from her Father Ties.